Ugo Catanis ‘A Summer Shower in Collins Street’, 1889, sets the scene for Andrew Mays invitation to walk the streets of Melbourne, imagine the everyday past, and see the urban landscape with new eyes. 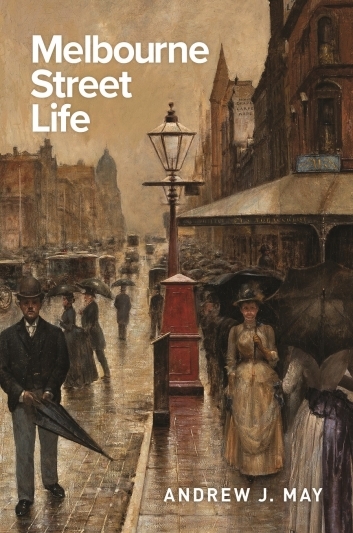 Ugo Catani’s A Summer Shower in Collins Street, 1889, sets the scene for Andrew May’s invitation to walk the streets of Melbourne, imagine the everyday past, and see the urban landscape with new eyes. For the author, as for artists like Catani and Tom Roberts, the street frames the ever-changing throng of the wealthy and down-and-out, the passers-by, shoppers, idlers, hawkers, cabbies, entertainers, beggars, larrikins, prostitutes, custodians and law-breakers. It is the stage of ritual, procession and protest and the site of proud architecture, fine trees and public utilities. And it also has its hazards, of traffic, animals, assault, falling buildings, fire. 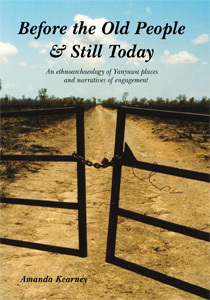 Original and vital in subject and tone, this award-winning book is a rich commentary on the growth and transformation of a great Australian city.